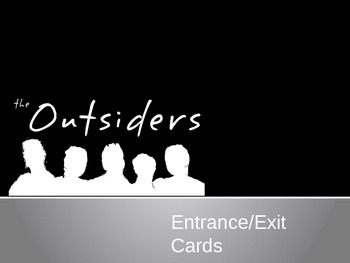 This package includes three weeks of entrance and exit cards to begin and end your novel study about The Outsiders. The entrance card asks a question that will require students to relate the themes of identity and acceptance to their own lives. 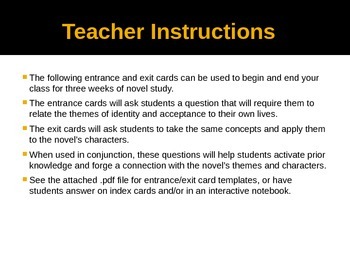 The exit card requires students to take the same concepts and apply them to the novel’s characters. When used in conjunction, these questions will help students activate prior knowledge and forge a connection with the novel’s themes and characters.